SHINEBRIGHT, formerly known as Shine Bright Baby, have released their new single 'Reckless For Love' which will be followed by the new album, 'Only You', on 17th July 2015. This 8-track project follows their successful 2013 debut album 'Dreamers'. "This song is about living and loving recklessly because that's what Christ did for us," states SHINEBRIGHT co-founder/lead vocalist Emily Irene. "The kind of love Christ showed us is spontaneous and passionate. We don't have to worry about consequences or whatever people think of us. We just need to live with a bold faith and let God lead us." 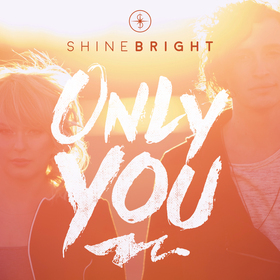 Read More SHINEBRIGHT, formerly known as Shine Bright Baby, have released their new single 'Reckless For Love' which will be followed by the new album, 'Only You', on 17th July 2015. In support of the new single, SHINEBRIGHT is releasing a self-produced new lyric video for the song that can be viewed below. SHINEBRIGHT's new name is a natural step forward in the group's journey, according to SHINEBRIGHT co-founder/guitarist Nathan Fertig. "The change in our name to SHINEBRIGHT from Shine Bright Baby gets to the heart of the message that we are meant to be lights in the darkness. Many of our friends refer to us as 'shinebright' already, so it's a very natural transition. We love the name and are excited about that message leading this next season of our lives and music." News about a fall tour will follow soon.